Previous Post You must have a good reason to…. Thanks, Rob, for considering this subject and sharing your thoughts. From my perspective, I understand that the best predictor for job success is one’s level of social and emotional intelligence. I believe that, in addition to other conditions, SEI is contained in psychological flexibility, making it an essential predictor of performance. Right? Hi Rob, thanks for this one (and not just this one, BTW). To elaborate: what would be best measures for psychological flexibility in this context? should the management not allow flexiblity before they hire such profiles ? as usual, thank you for your comments and thoughts. I really appreciate them. Donna, we love your enthusiasm for all things ACT in the workplace, here and on the list serv. Maybe a guest blog one day? In answer to your question, it is not my understanding that Emotional / social IQ predicts workplace performance to the same extent. To my knowledge it is only cognitive ability /intelligence that counts. However, I do not claim to know all the evidence – if you know better please inform me / us. Ludo, I did not fully understand your question. Let me know if I can help though? Hi, Rob, Sorry for taking so long to see this. In the middle of a qualifying essay on the influence of psych. flex. on leader effectiveness so have been thinking about stuff related to this blog for awhile. I’m not certain I agree with you on the cognitive ability and intelligence. 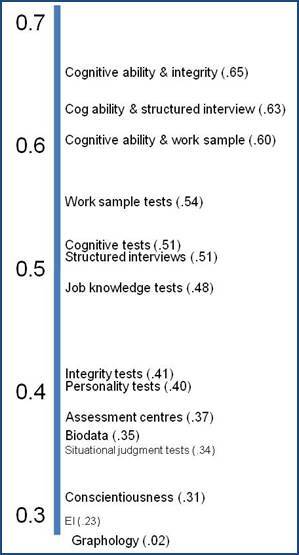 Certainly, these are important but if you look at all of the domains required for success at work (or in life for that matter) there are more areas of importance here than cognitive abiliy and intelligence. I have worked with so many leaders who had so little command of psych. flex, including SEI, as to make the workplace a mess. In addition, just working with a colleague on a team who has low PF capability can and does wreck havoc. I see PF as closely related to individual developmental stages and I also see measuring PF in the workplace as a really exciting emerging area. I am pretty sure this will be the focus of my dissertation research at this point. I wish we could have some really in-depth discussion around this topic at this point. PF is difficult to achieve and even more difficult to consistently access in the moment. It requires a lot of training, the ability to really see oneself from the perspective of the Self as Context, and to access the PF skills in the moment without reactivity. A person who can do this must, to my thinking, be at a high level of adult development. I know I should be citing my references and am sorry that I just don’t have the time as I write this. I was looking for your postings on PF when I stumbled on your response to my comment, for which I thank you. thanks for your comment again. I, too have come across many examples of the kinds of leaders you mention. And I am sure it makes a difference. Yet the research I cite is fairly unequivocal – the best predictors of overall success in the workplace are, by a distance, intelligence and conscientiousness. I totally agree however that the impact of PF in the workplace is a most exciting development – and I think it will become increasingly important as the information age progresses. best wishes – and thanks again for all your excellent comments. Just thought that when I think about PF it’s generally in the context of the self. However, all of this takes place in relationship, so part of the importance of SEI in here is the ability to see, hear and interact with the Other, thus bringing us to empathy and compassion. Do you know Daniel Goleman’s quote on the Peter Principle, which applies to emotional intelligence: too much college and too little kindergarten? Goleman says, and I truly believe, that “From entry-level jobs to top executive positions, the single most important factor is not IQ, advanced degrees, or technical expertise. It is emotional intelligence: self-awareness, self-confidence, and self-control; commitment and integrity, the ability to communicate and influence, to initiate and accept change.” He also says that “The rules for work are changing. We’re being judged by a new yardstick: not just by how smart we are, or by our training and expertise, but also by how well we handle ourselves and each other. This yardstick is increasingly applied in choosing who will be hired and who will not, who will be let go and who retained, who passed over and who promoted. The new rules predict who is most likely to become a star performer and who is most prone to derailing. And, no matter what field we work in currently, they measure the traits that are crucial to our marketability for future jobs.” The SEI quadrants, which are also crucial to PF in my thinking, are 1. Self-awareness; 2. Other awareness; 3. Self management; and 4. Relationship management. I believe that, if one can become really competent at 1. and 3., which are inherent parts of PF, one should be able to flow into 2. and 4. more easily. Being human is really hard. Darn. I don’t know enough about this but can see how it all makes sense. What about a guest post Donna? Hi, Rob, Would be happy to do that. Would prefer getting through my third essay first. Can use parts of that for the blog. Can work? Sometime in the middle of December might be possible? Fantastic Donna! Look forward to it. Awesome! What is the process? Write it and I can publish it for you. No editing, unless you want it, but if you can keep it roughly the same length and style and make it relevant to people in the workplace – that’s it!